← The Great Priming Sugar Experiment: The Results! Two things I have learnt about writing a blog since I created it; It’s much harder to write properly than you’d imagine, and it takes up much more time than you expect it to! At the moment I’ve maybe five or six topics I want to post about, and as the time needed to complete a brew day write up is proving elusive I am going to fill the gap with a run of shorter posts, the first of which will be about my experiment growing my own hops. Hop plants (Humulus lupulus for all you Latin speakers!) are a rough twining vine that can grow up to 25ft tall. The Female plant is the one that produces flowers in the form of cones and these are the parts of the plant that are used in brewing. The Hops themselves are generally between 2 cm and 6 cm long, a light yellow/green and papery in feel. Harvest time is September and each fully matured plant will produce up to 2kg of dried flowers. I decided to grow three different hops; Target (Bittering), East Kent Golding (Aroma) and Bramling Cross (Aroma), if the growing season was successful I would hopefully then have enough hops to make (at least) one complete batch of beer! 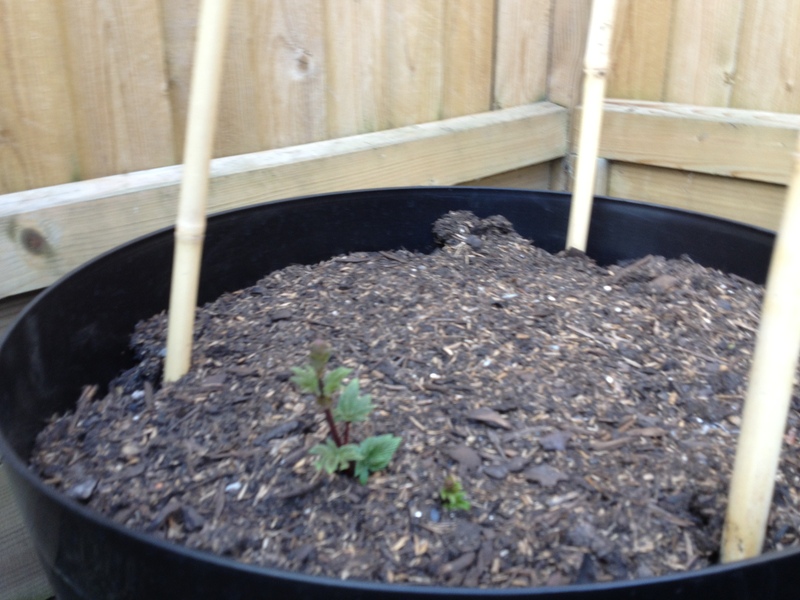 The common limitation with growing Hops at home is space, and as I don’t have the room for three 16 foot tall vines in my back garden I opted to plant my Hops in pots. This should limit their maximum size as they won’t be able to fully establish the root system, and will also allow them to be moved about the garden for the optimal sun-hours! Ultimately I decided that if I could get 500g of Hops from each vine once established then it would be deemed a success! 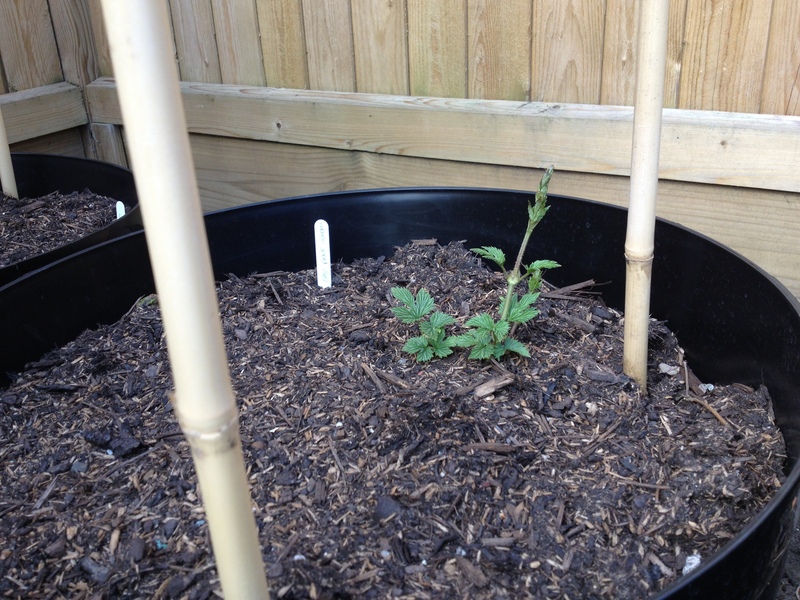 The Hops were ordered from Willingham Nurseries (see my useful links tab) in October 2012 and planted immediately in large (50cm+) pots in the garden. 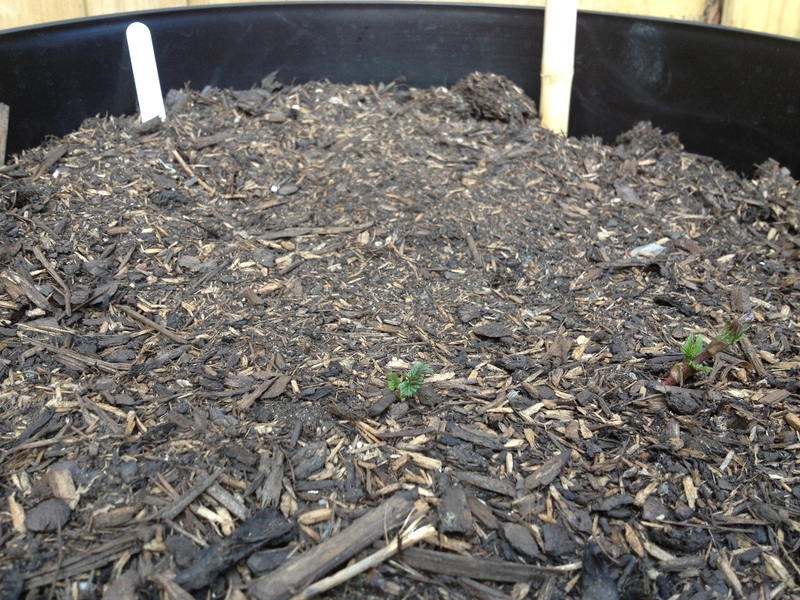 The Hops ideally needed to experience winter in order to prompt them for new growth in the new year. 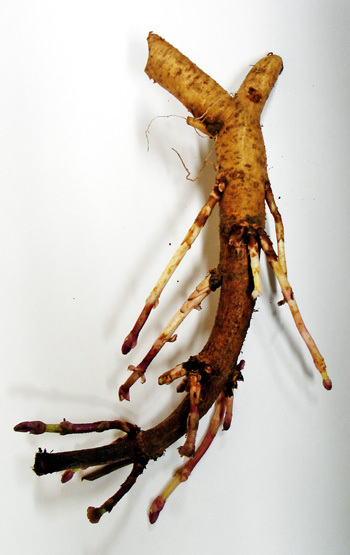 A fairly sta ndard looking Hop Rhizome. You can just about see the new shoots which will form the vines. Planting complete. Yes, for some reason that made sense at the time I planted these in the dark! Here we have the Bramling Cross (left), East Kent Goldings (centre) and Target (right) as they were on April 15th. All three going nicely, looking forward to summer! I’ll continue to update this post through the season with pictures of their progress! One month of growth and the hops look like this! The largest two vines are around 2ft in length, and are being trained on support wires in a spiral around the canes.